Fred described the flavor as “what you wished a giblet tasted like.” I said they were a cross between liver and a chicken thigh. The texture closely resembled that of liver, just firmer and with no tendency to crumble. Unable to find a recipe for goat kidney even on my overburdened cookbook shelves, I turned to James Beard’s recipes for lamb kidney in his American Cookery. There was never a time, it seems to me, when there were not some pickled lamb’s tongues on the shelf of our family larder. They were used for a quick snack, for a cold supper, for sandwiches, or for picnics. And how tender and delicious they were . . . . I fear that lamb’s tongues are lost to most people today, who won’t take the trouble to prepare them and don’t know what eating pleasure they are missing. His descriptions of lamb’s kidneys were equally rhapsodic, so Fred and I eagerly anticipated trying the goat. The kidneys were very easy to prepare. First, I removed the little tube in the kidney and the white gristle-y parts. 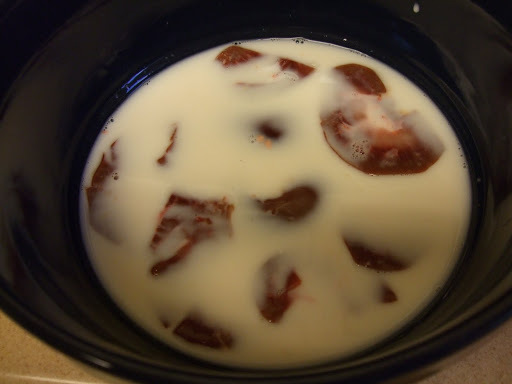 Then I soaked them in milk for about an hour. I brushed them with olive oil, seasoned with salt and pepper, and broiled about 5 minutes, turning once. The most important thing, it seems, is not to overcook them. They were not as rare as James Beard suggested, but that was fine with us on our first try. The verdict? We’ll try them again. And if anyone knows where we can get lamb’s tongues, please let me know. This entry was posted in Cookbooks, Meats. Bookmark the permalink. Well, these look… interesting. Sorry, I am with your friends, even after all your descriptions…Wuw and Ugh. But I admire your nerve to try em. Good for you. He will be thrilled when he reads what you have done. He will also have 4 or 5 new recipes for you to try if you ever get more. My, what a pretty blue plate. 🙂 🙂 Seriously, I'd try them. Thanks for recommending that blog! I checked it out and it looks really interesting. Lenore, thanks for the compliment on the plate. I got them in Chicago years ago and they were really inexpensive–but I still love them. These look marvelous. 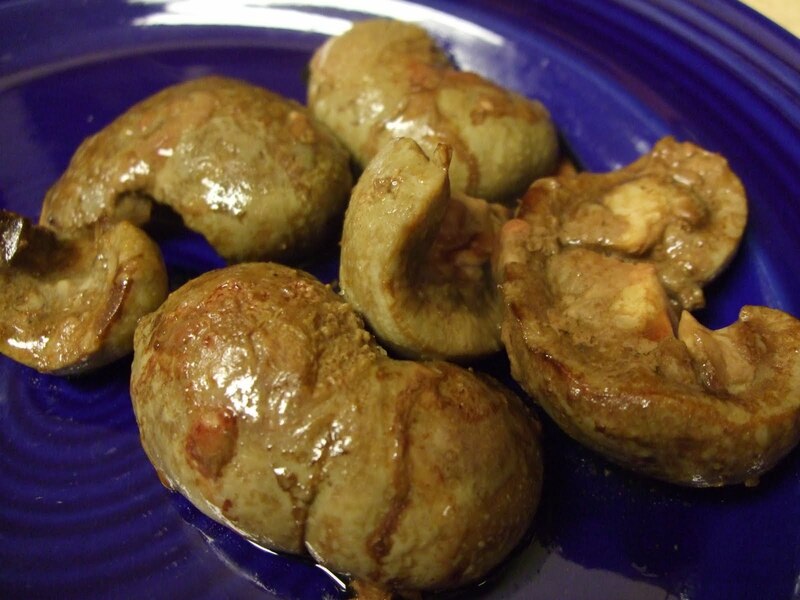 I have some lamb kidneys in my freezer right now, just holding out to become the perfect winter dish. I buy most of my meat from local New England farms, and because New Englanders don't seem to have a taste for offal (yet! I'm trying to change that! ), I get tongues, liver, and kidneys for cheap. My local Halal markets carry goat, including the liver. Maybe I'll pick some up next time. Keep cooking offal. Over time, people develop a taste for it. When I first cooked stuffed lamb hearts, my friends were not enthused, but I kept at it until eventually, they were able to munch on some crispy pig ears with only minimal squeamishness. Also check out Eating Nose to Tail. http://www.eatingnosetotail.com/ The person writing this blog grew up eating offal and so has a real authentic appreciation for all the many wonderful offal concoctions available. Goat Kidney is a delicacy in India. If you liked Kidneys, You should also try Brain, Heart, Pancreas and Testicles.. Yes, you read it right 'goat testicles' are delicious and creamy when cooked correctly.